Damaged pipes and sewer mains require prompt repairs, but excavating them can be challenging. At Lateral Plumbing Solutions, we can provide hydro excavation in Melbourne as a non-destructive alternative to traditional mechanical techniques. Using pressurised water and an air vacuum, our hydro excavation contractors in Melbourne can locate utilities more easily, helping to reduce labour time and repair costs. Hydro excavation services can also be used for exposing water services for maintenance and digging up pipe lines when there may be unknown services buried in the vicinity, such as fibre optic cables, gas mains, and storm underground power. Hydro Excavation, also known as non destructive digging, is a non-mechanical process that involves moving or removing soil using pressurised water and an industrial strength vacuum. The water cuts through the soil and breaks it up, allowing the vacuum to easily transfer the slurry to a debris tank away from the excavation area. 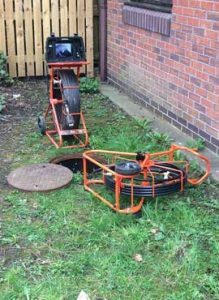 This innovative approach can be used to locate and excavate around underground utilities with more accuracy using closed circuit TV, providing a more efficient solution than mechanical alternatives. Contact our experienced hydro excavating contractors today for more information jet cleaning, tree root cutting or other services we may do.